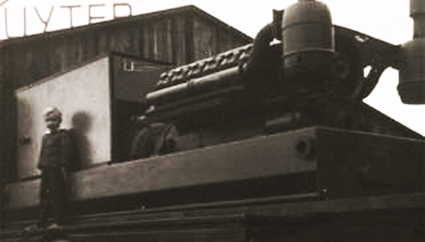 Two generator sets of 1700kVA. Because Rutag has the right solution for a carefree energy by a generator set. For more than 40 years designing and building energy efficient facilities (generator sets) and energy-saving cogeneration. Owner Mark de Ruiter grew up in the company and built it into a provider of customized installations. Precisely this customization is important, because every situation is different and there when buying lots of questions and requirements play around required capacity, reliability, operation and maintenance. In addition to years of experience, Rutag has many up-to-date knowledge. What also always leads to new innovations with benefits for our customers. Our knowledge and experience is for many customers a reason to do business with us. That makes that we are for a range of national- and international companies and institutions, the right partner. Also looking for such a partner? Please contact us. 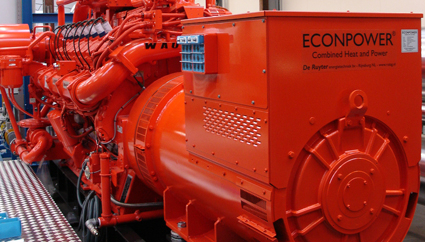 Just as you need to decide to buy or rent a generator or cogeneration. We develop and deliver you a custom solution! 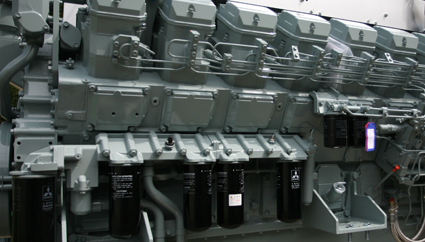 For the operation of generator sets and cogeneration using fossil fuels. Besides the combustion process play multiple environmental aspects, such as noise and vibration, a major role. Ever since its founding more than 40 years ago, we at Rutag consciously concerned with inventing and building energy-efficient, low-noise and saving facilities. More than ever we have an eye for the relevance of environmental issues. It is through our years of experience and knowledge, that we deliver systems that exceed environmental standards such as consumption, emissions and noise. 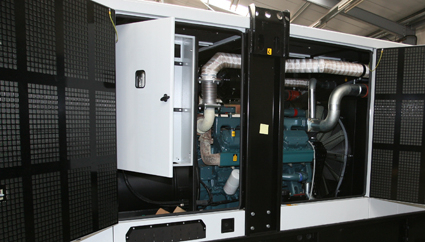 The purchase of a generator or CHP is an investment. That's why we always start bringing your needs and requirements are well identified. Our approach and questioning is the offer that we make a clear answer to what you need. In all CHP plants and emergency power RUTAG provides complete design and perfect assembly of the selected system components. We have our own engineering but also the expertise for the development and construction of related products such as its control cabinets. A uitgebreidde testing ensures optimum performance. The installation is only delivered by us if all components meet the commitments and requirements. Rutag performs the installation site in-house. When building up,we take into account ease of operation and maintenance setup. All serviceable parts are well accessible. Like us on Facebook, view us on YouTube, plus us on Google+ and link us on LinkedIN.